When will be Starcade next episode air date? Is Starcade renewed or cancelled? Where to countdown Starcade air dates? Is Starcade worth watching? 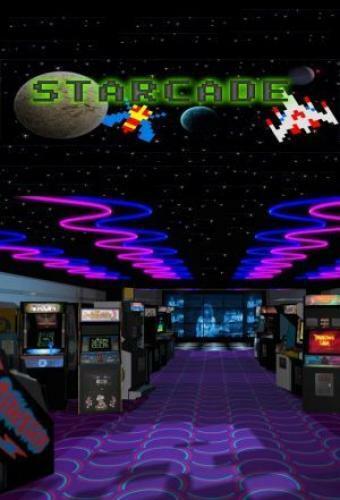 Starcade is a game show where contestants competed against one another by playing arcade video games. The series originally aired on WTBS from 1982–1983, followed by a run in syndication for the following season. The series was first hosted by Mark Richards. Geoff Edwards replaced Richards after the first 23 shows, and continued until the show's cancellation. Two players (or teams; age-regardless) competed.Three rounds were played. Each round began with a video arcade-game related toss-up question. The player who buzzed in and answered correctly chose one of five free-standing arcade games in the studio and was given 40 seconds (later 60, then 50) to amass as high a score as possible. The opponent then played the same game, and whatever points the players earned were added to their overall scores. If a player's game ended before time ran out, the turn ended immediately and the player was credited with whatever points they had earned.The second and third rounds were played identically, with 40 seconds (later 50) game playing time for the second round, and 30 seconds (later 40) for the third. Once a game was chosen for play in any round, it could not be chosen again. At the end of the second round (and third when the series began), the player in the lead played "Name the Game," attempting to identify four arcade games by screenshots. The player won a prize for correctly identifying at least three of the games. One of the five games was the "mystery game," which awarded a prize to the player who chose it in any of the three rounds. The player in the lead at the end of the third and final round won the game and a bonus prize, and moved on to the bonus round. Starcade next episode air date provides TVMaze for you. EpisoDate.com is your TV show guide to Countdown Starcade Episode Air Dates and to stay in touch with Starcade next episode Air Date and your others favorite TV Shows. Add the shows you like to a "Watchlist" and let the site take it from there.